In 2015, David Allen published a new edition of his classic business book “Getting Things Done.” I’m taking this opportunity to return to this outstanding methodology and share some of my observations with you. Personal productivity and organization are key resources we use to lead ourselves to success. Returning to these ideas from time to time is important because productivity habits and systems often decay without deliberate work. For those new to Getting Things Done, here are a few key points to know about David Allen and his work. Amazon Reviews: The original edition has attracted over 1400 Amazon reviews with an average rating 4.4 out of 5 stars. Getting Things Done Media Coverage: David Allen and his methods have attracted media coverage around the world (e.g. CNN, The Guardian, and Harvard Business Review). I first discovered “Getting Things Done” at a conference in 2008 or so. Though I was excited to pick up the book, I will admit that I did not finish reading at first. A few years ago, I finished reading book – it was outstanding. 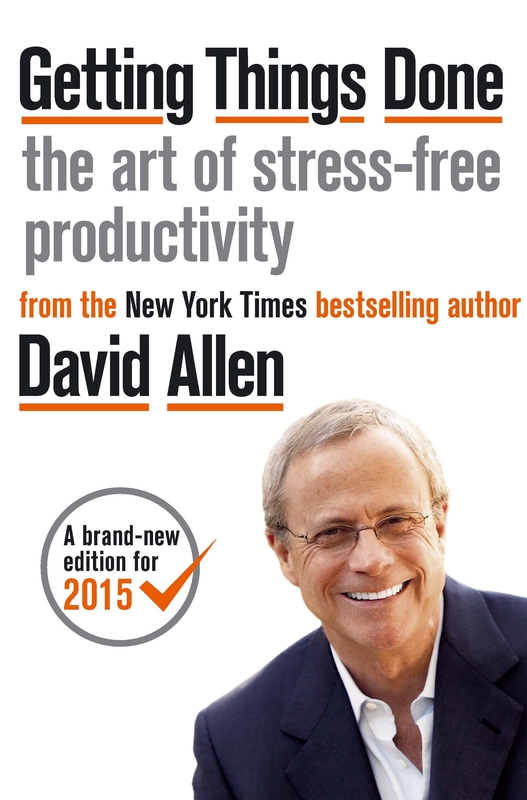 Much of the appeal of Allen’s book lies in the excellent tactical productivity suggestions (e.g. the two minute rule: if an email or other item comes across your desk that can be solved in two minutes or less, it is best to complete it immediately). However, specific tactics are only part of the story. “Getting Things Done” is a system of habits and a way to look at the world that is designed to balance control and perspective. More recently, I have deepened my understanding of “Getting Things Done” by reading the 2015 edition of the book and listening to Allen’s audio books. Every time I work through this material, I improve my effectiveness. There are numerous productivity and time management approaches available. Here are a few reasons that I recommend this specific approach over others I have used. As an aside, the GTD (i.e. the abbreviation of “Getting of Things Done”) approach is also effective at managing non-business/career matters (e.g. household, planning trips and more). Personal productivity is under your control: For most of us, we have considerable discretion to choose what to do, minute by minute. This reality means that you can use systems and habits to become more effective. Besides, it is helpful to focus on areas where you can improve rather than complaining about problems that are difficult to address. Perception is reality: The increased control and perspective one obtains from using Getting Things Done will improve how people see you. This point is especially important if you have been frustrated at forgetting appointments, tasks and related activities. Reduce unproductive time: According to KM World, knowledge workers often spend 15-25% of their time searching for information. Just imagine if you could cut that time in half by using GTD. It is certainly possible as you master the methodology. In addition to the points mentioned above, `Getting Things Done` makes it easy to focus on high value activities. That`s one of the greatest benefits of adopting the system. Of course, there is work involved to reach those benefits. You need to read the book, put a few days aside to put the ideas into effect and then maintain it. Here are five specific ways that I find that GTD improves your capacity to lead yourself. My approach here is informed by a focus on project management. Other people will be able to apply these ideas with some small adjustments. In the project management world, we all know that bottom up estimation as one of the most effective ways to budget projects. Unlike other systems, David Allen recommends starting out by simply collecting and noting whatever has your attention. This initial art of collection and emptying your mind is important. Only once you see all your preoccupations, tasks and concerns on paper (or a screen) can give thought to priorities. As Karin Hurt’s blog has reminded me, it is important for leaders to stay humble (and yes, you can teach humility). As I have learned GTD, I have learned just how important it is to capture information in a trusted system. This activity is leadership because it improves your reliability and ability to deliver. Enhancing your credibility to achieve results shows you can take on greater leadership responsibilities. If I had to name a single GTD tool that has made the greatest difference, I would choose the Weekly Review. In fact, I have a template Excel file that I use to guide me through the process. The weekly review involves reviewing your calendar (past week and current week), achieving inbox zero and related activities. On occasion, I miss the Weekly Review and it hurts my effectiveness. If you would like more details on my Weekly Review template and process, please write a comment and I will cover it in a future blog post. What if you could be your own coach or consultant? That’s difficult to achieve. Fortunately, you can experience some of the benefits by using what Allen calls “outcome thinking.” When faced with a problem, dream, responsibility, it can be difficult to get started. You can ask yourself questions such as: what does this mean to me?, what do I want to be true about it? and “what’s the next step required to make that happen?” During a meeting or discussion, it is easy to get focused on the problems and everything that is going wrong. You can demonstrate a leader’s perspective by focusing on the outcome you want, rather than the problem you don’t want. As another GTD disciple, I am always interested in hearing more about the weekly review – so yes, a blog post would be great. Thanks for commenting. I’m thinking to write about my approach to the Weekly Review in May. Please do subscribe to the free email newsletter to make sure that you don’t miss a single post. Please send me your weekly review template. I will write a post about it in May. I suggest you subscribe to my email newsletter (projectmanagementhacks.com/career) and then you will receive it directly to email inbox! KEvin, thanks for your comment. I will be sharing my weekly review overview in a few days.